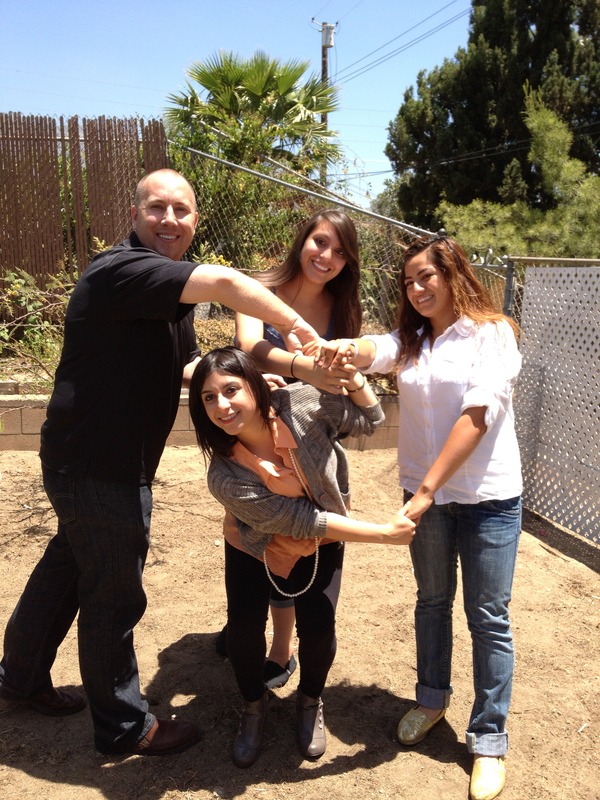 Every nonprofit needs a strong, dynamic team in order to accomplish their work. When an organization grows the size of its staff and its programs, convening the staff once a year for a retreat is a great way to build stronger teams and relationships, which in turn cultivates a healthy work environment, which in turn leads to greater organizational effectiveness. 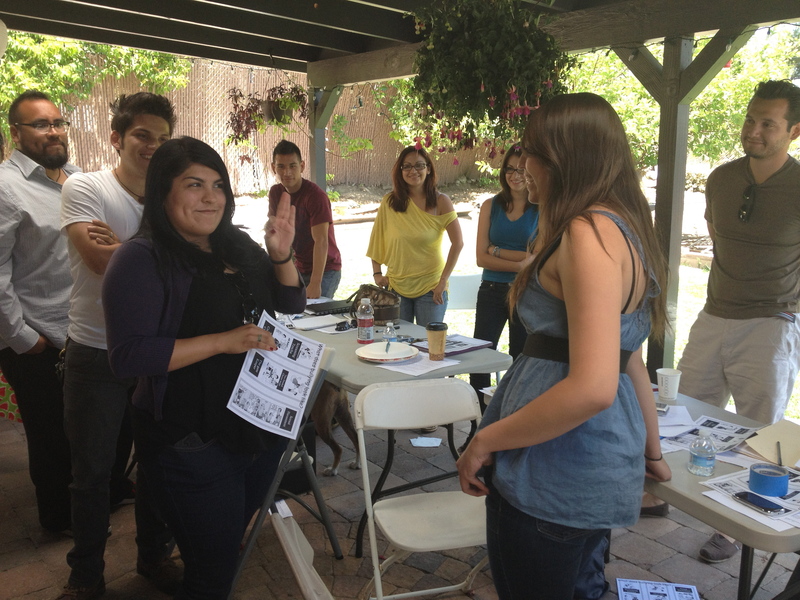 I recently facilitated a fantastic team-building retreat for a nonprofit organization I really admire: Youth Speak! Collective. After welcoming 20+ staff members and reviewing the goals of the retreat, I led of with a question I like asking each person of the group to answer as part of the introductions: “If you could be any animal, what would you be and why?” That always generates some laughter, surprise and fun. It also highlights the diversity of the group. After that, we took some time to review the organization’s plan to make sure everyone was on the same page. Then came the really fun part of the retreat: different segments led by staff focusing on areas such as communication and teamwork. For each topic, a team of one or two staff members shared some best practices and then split the larger group up into smaller groups. This is where the group’s creativity really shined. In one of the sessions, groups created skits to present back to the larger group. In another, they experimented with digital photography. 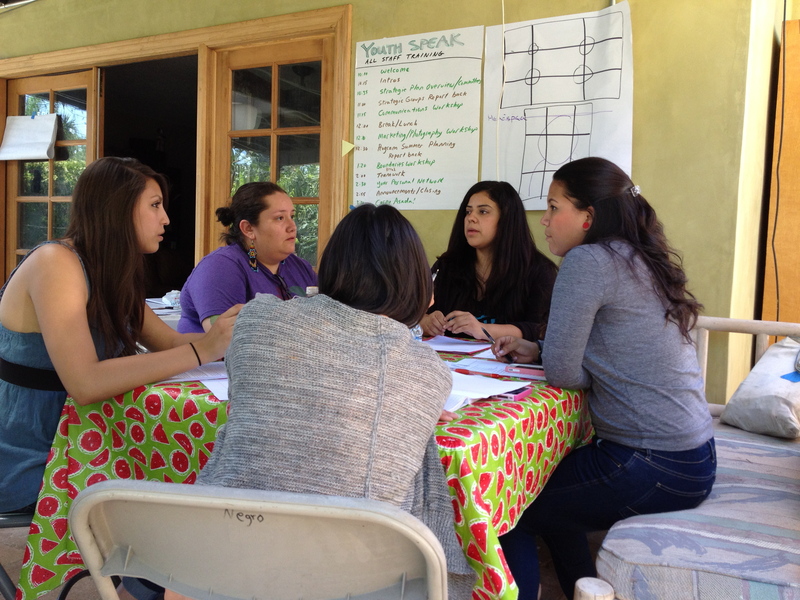 In each case, the group reconvened and reflected on their experiences. After practicing and role-playing as part of an exercise, it gave everyone a direct experience with the topic and led to a very rich discussion. 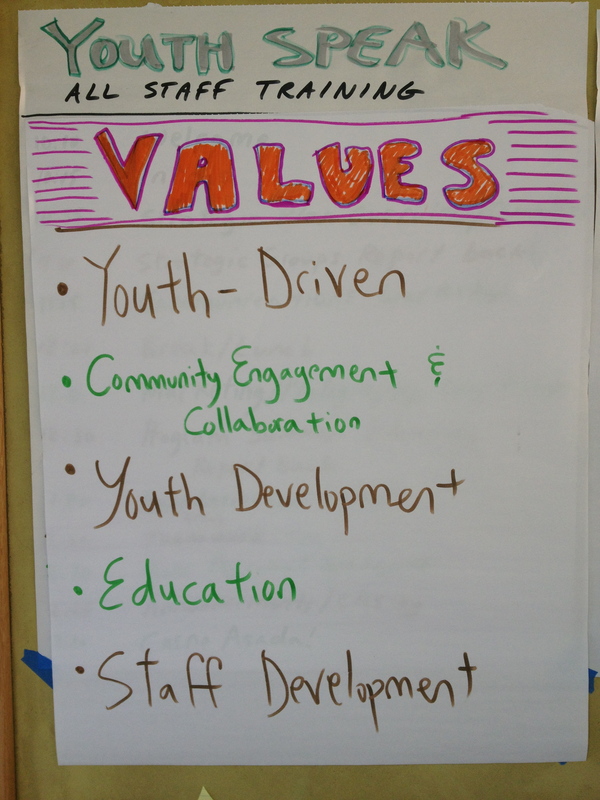 After addressing some big picture topics, we followed up with some specific action planning for each staff member. 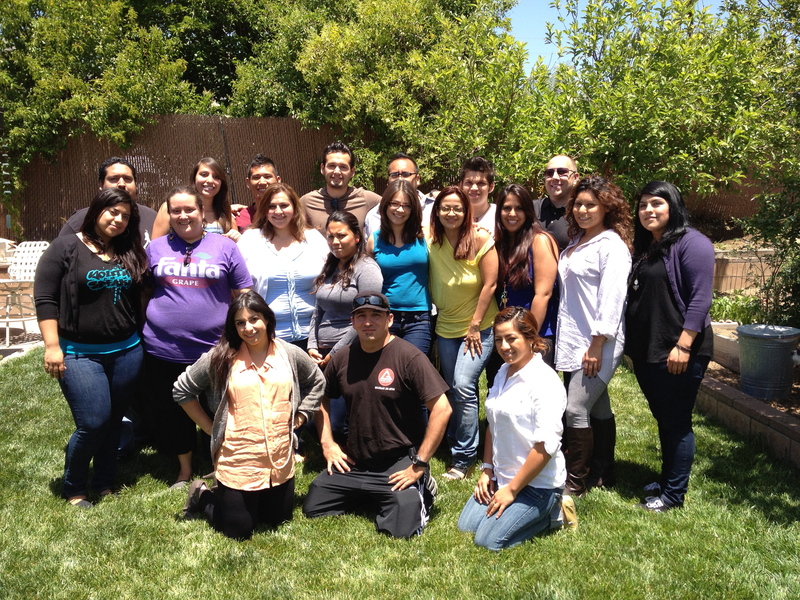 Throughout the retreat, I facilitated portions that involved the whole group. I worked to create a space where we heard from multiple members of the staff. I also kept track of time to make sure we kept to the agenda. We made a few minor adjustments to the agenda as we went and accomplished everything we set out to do. As we came towards closing the retreat, I asked everyone to stand up and form a circle around the organic vegetable garden (the retreat took place in a lovely back yard in Sunland). I asked folks to look around at the others on the staff that make up this great organization. I asked folks to reflect on the day and appreciate the growth that occurred. In closing, I asked folks to share how they felt about the day we spent together by comparing their experiences during the retreat to a fruit or a vegetable. My favorite response was something to the effect of “Today was like a tomato. It was juicy and sweet. We had amazing conversations and I feel closer to everyone who is here.” With that, everyone smiled and laughed. While that ended the formal retreat and we fired up the barbeque for an informal, celebratory meal where the conversations continued. This entry was posted in Facilitation, Retreats and tagged #Nonprofit, #NPLA, Facilitation, Leadership, Leadership Development, Retreats, Team Building. Bookmark the permalink.